Six Sigma, developed over three decades ago, is now in a mature state where many organizations are looking to deploy this company-wide in a bid to rein in costs, improve customer satisfaction, and reduce defects in critical business processes. A rudimentary approach to defining Six Sigma would be 3.4 defects per million opportunities; however, this is only for the layperson. Six Sigma is not about such measurements. It is a philosophy that “improvements are imperative” and without such continual improvements in processes, we would be unable to keep pace with the changing customer requirements. Six Sigma intensely focuses on variations and, through a set of tools, enables us to uncover the underlying causes of the variations. Customers see variations in the outputs of processes and they don’t like it one bit. Hence variations need to be controlled, and that is the underlying objective of any Six Sigma project. 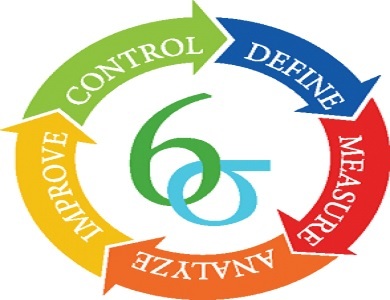 Six Sigma deployment is a companywide strategy to achieve breakthrough improvements resulting in variation reduction, and quality improvement. Lean methodology, on the other hand, relies on us to eliminate all types of “wastes” in processes. Marrying the concepts of Lean and Six Sigma and looking at various processes with the idea of Improving velocity (Lean) and reducing and controlling variation (Six Sigma) is the current need of industry. Implementation of Lean Six Sigma in an organization and training key resources as various belts is but a step in the journey towards “excellence”. The organization needs to ensure that an improvement Champion is nominated before the commencement of the program to guide the participants through the various hurdles that they will cross. Implementation horizon may be in years, but unless quick wins are established, Management may lose interest in the initiative. To counteract this, we have developed through many years of working with multiple clients a practical training methodology which will ensure that the participants in the program are continually engaged with the problems they face and a way forward is discussed during the program itself. Synergy is created in the training program – whether it a Green Belt program (5 day duration) or a Black Belt program (20 day duration spread over 4 months). This synergy is paramount in ensuring that after the program the belts continue with creating synergy within their teams in the workplace to minimize the time taken for implementation of improvements. Riskpro offers training, consulting, and mentoring services in Lean Six Sigma to manufacturing and non-manufacturing industries in India and abroad. Implementation of Lean Six Sigma for Top Management – 1 day workshop with implementation methodology, case studies, experiences and best practices. Lean Six Sigma for Department Heads – 1 day orientation programme with best practices, case studies, and success stories. Lean Six Sigma Green Belt – for manufacturing industries – 5 day certification training programme. Lean Six Sigma Green Belt – for service industries – 5 day certification training programme. Quality Tools – 2 day training programme for Executives and supervisors from manufacturing industries. Design of Experiments – 2 day training programme for executives and managers from manufacturing industries.